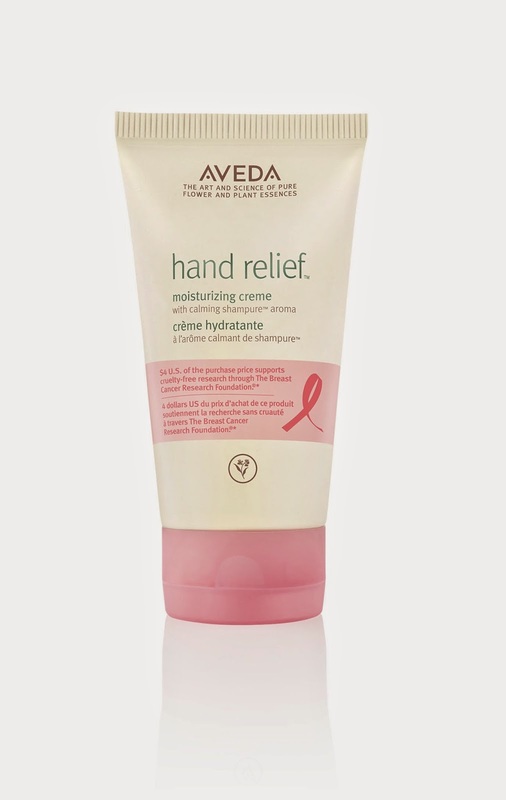 Today's post continues with the look at special edition products being released in support of Breast Cancer Awareness- this time, Aveda's Hand Relief. Since 2001, Aveda has raised more than $3.4 million to the Breast Cancer Research Foundation through its limited edition Breast Cancer Awareness products. It's not the first time that Aveda have chosen their hand cream as the special edition product. Last year's offering (see review here) saw a limited edition Hand Relief released with a rosemary and mint fragrance. This year, Aveda Hand Relief is infused with the brand's signature Shampure botanical fragrance, which I adore. It's presented in limited edition packaging featuring a pink cap and the charity's instantly recognisable pink ribbon, acting as a reminder of the cause every time you moisturise your hands. The nourishing formula is easily absorbed and leaves hands feeling protected. It's the ideal addition to your regime, particularly at this time of year and my tube is currently taking pride of place on my office desk. What's more, the limited edition tube is 150ml, i.e. 20% larger than the standard 125ml size.